Michigan's 2019 recruiting class received another boost as East Kentwood four-star defensive tackle Mazi Smith announced via Twitter on Sunday he plans to attend the school. The 6-foot-3, 300-pound lineman, who is ranked the seventh-best at his position by the 247Sports Composite, picked Michigan over Ohio State, Michigan State, Alabama, Penn State, Notre Dame, and Georgia, among others. “I like Michigan’s tradition, the way they want their players to carry themselves,” Smith said in a May 2 interview with The Detroit News. “Of course, I like their new weight room, like their D-line coach (Greg) Mattison, too." 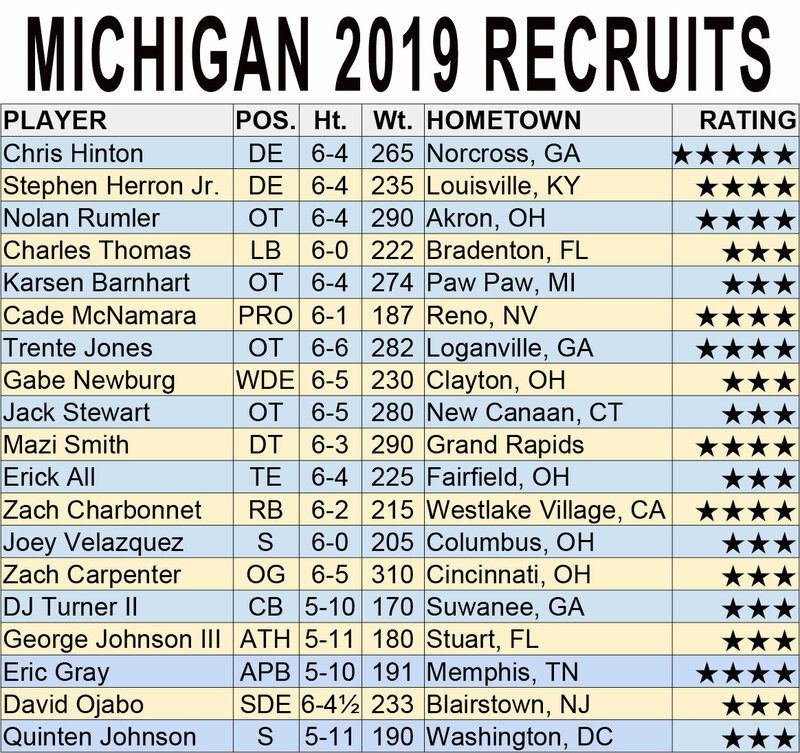 The Wolverines recorded quite a recruiting haul Sunday, receiving verbal commitments from three-star TE Erick All and four-star RB Zach Charbonnet earlier in the day. UM's 2019 recruiting class has 14 commitments.